Yup, my mother came to see me on my little rock in the ocean. 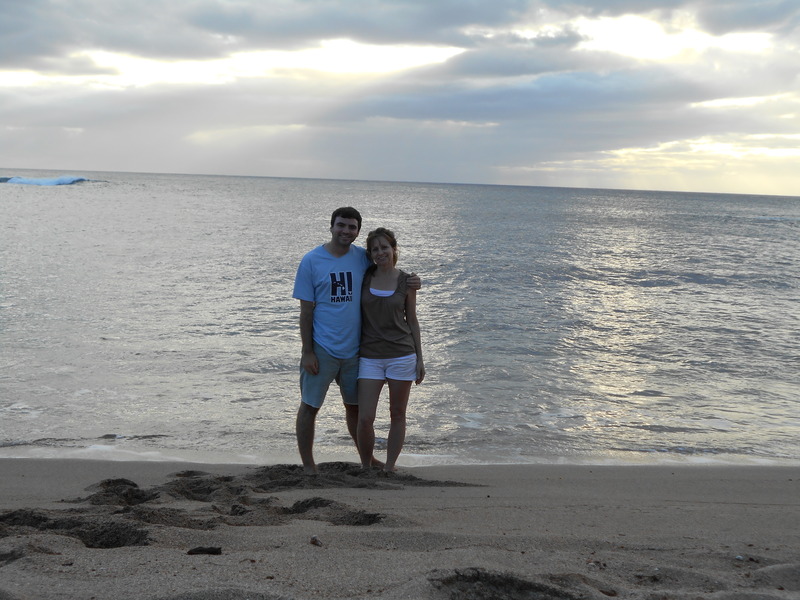 She and I first came to Hawaii together last January when we vacationed in Kauai. 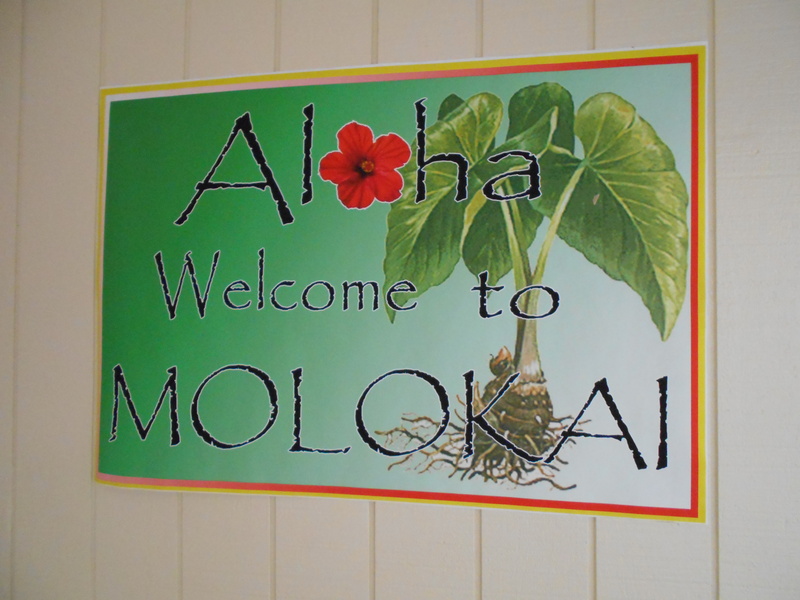 Now, we’re on Molokai. We’re thinking about making Hawaiian vacations an annual thing. Your first greeting at the airport. 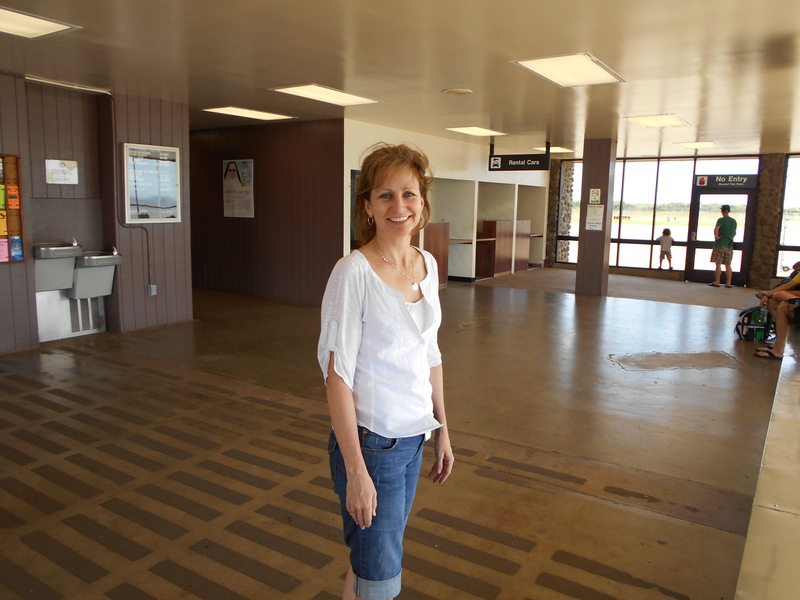 Picking Mom up at the airport. 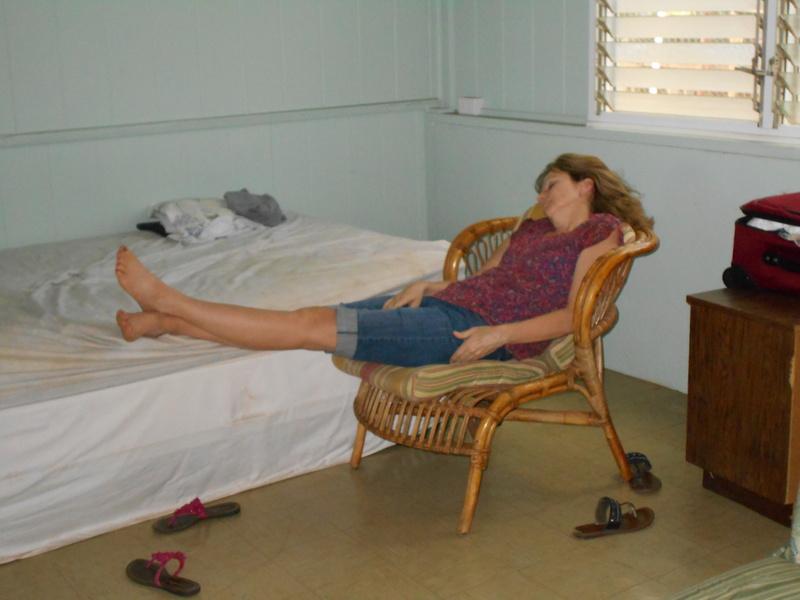 On Molokai, there is always plenty of time to catch some zzz. It is always so nice to have a little taste of home while living so far away. That being said, today on my way to the store I did a little counting in my head and realized that on May 16 I will have officially been a Hawaiian for 100 days. Hard to believe the time has passed already, but oh what a wonderful journey this has been. I am truly grateful. 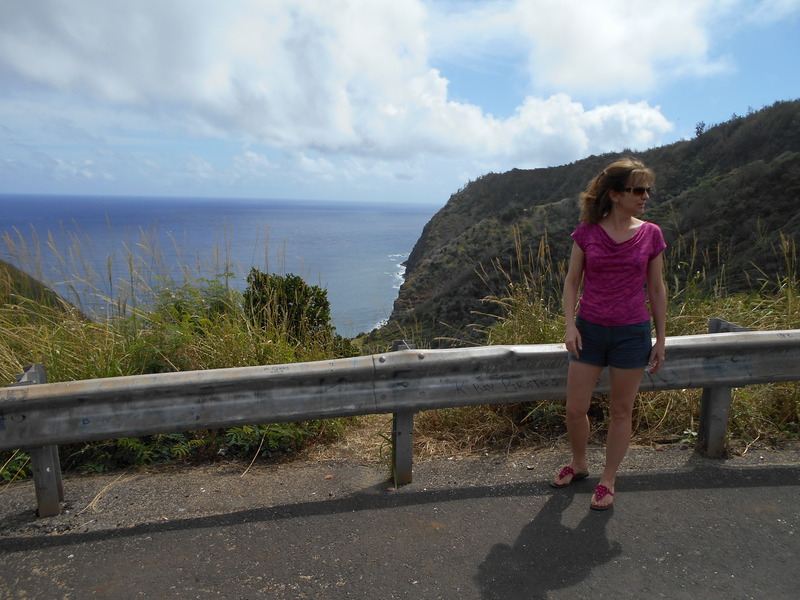 This entry was posted in Hawaii and tagged 100, 100 days, grateful, Hawaii, home, journey, kauai, Molokai, Mom, vacation, visit, visitors. Bookmark the permalink. 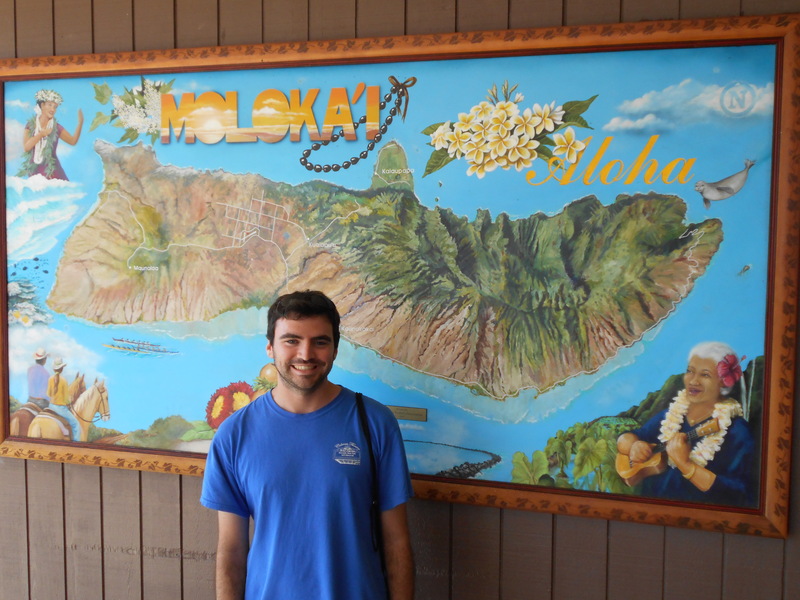 1 Response to Welcome to Hawaii, Mom! Really nice that your Mom could visit you on the island. I think returning to the island yearly is a wonderful idea. Almost as good as making it a permenant base.